While many senior adults are not sure why they should be concerned about poison centers and poison prevention, the average amount of medicine â€“ prescription, over-the-counter, vitamin and herbal â€“ consumed by seniors continues to increase. At the same time, calls to America's 57 poison centers about seniors also have steadily increased for the past few years, and many of these calls concern medicines. - Keep an up-to-date list of all medicines a person takes. These include prescriptions, over-the-counter products, vitamins and herbals. - Share the list with all doctors and pharmacists to check for drug interactions. Surprisingly, even herbal supplements can interact with a prescription drug. Be sure to always check with a doctor before adding vitamins or herbal supplements to daily prescription medicines. - If possible, use the same pharmacy to fill all prescriptions. This also helps with avoiding negative drug interactions. - Keep all medicines in their original containers to avoid confusion with types of medicine and dosage. This is especially important when acetaminophen is an ingredient because taking too much can cause liver damage. Many pain relievers and sleeping products include acetaminophen and labels may not be clear as to what they contain. - Always read the label prior to taking any medicine, and never try to take it in the dark or without glasses to avoid mistaking medicines or taking an overdose. - Follow all medicine dosage instructions to avoid taking too much. - Develop a system for medicine tracking to help show when it has been taken, such as a check-off list or medicine journal. This helps to ensure the medicine has been taken also helps prevent extra doses from being taken accidentally. - Dispose of all medicines that are no longer needed, such as expired medicines and prescriptions that have been discontinued. 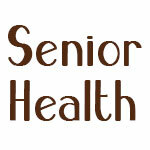 This helps to prevent senior adults from taking the wrong medicine or drugs interacting with each other. Many communities have collection events or drop boxes for safe disposal of medicines, so ask your local pharmacist for suggestions. - Never take someone else's medicine. Even if it could be beneficial, it might interact with a person's other medicines. Plus, taking other people's prescriptions is illegal! - Be very cautious when considering ordering medicines over the Internet. It is often impossible to tell if they are coming from another country, and the ingredients may not be what are claimed. This especially applies to supplements that make claims for "miracle cures." Ask family members or a pharmacist to investigate the site before sending money or taking products obtained online. - Keep the local poison control center's toll-free number available for poison information and emergencies. If a poisoning is suspected, call 1-800-222-1222. The American Association of Poison Control Centers supports the nation's 57 poison centers in their efforts to prevent and treat poison exposures. Poison centers offer free, private, expert medical advice 24 hours a day, seven days a week. We take calls in more than 150 languages and from the hearing impaired. For questions about poison or if you think someone has been exposed to a poison, call 1-800-222-1222 to reach your local poison center.